375cc Salad Bowl, which made from pet plastic which is both lightweight and recyclable! 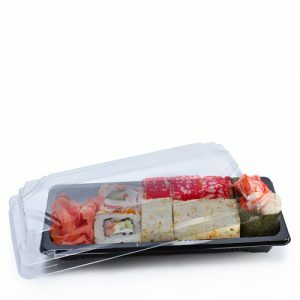 Great for packaging and protecting your ready-made salads, pasta dishes etc. 375cc capacity. Our food pot comes with a domed hinged lid, which enhances the look even further. Please note: Due to the tamper evdient feature, once the container has been closed the tamper evident strip will need to be broken. Great for giving your customers peace of mind, your product has been kept fresh and safe since production. This sauce pot comes in a range of other sizes from 250cc, 375cc, 500cc, 750cc and 1000cc. Protect and display a range of ready made foods from pots of fruit, mixed noodles, salads and vegetables!